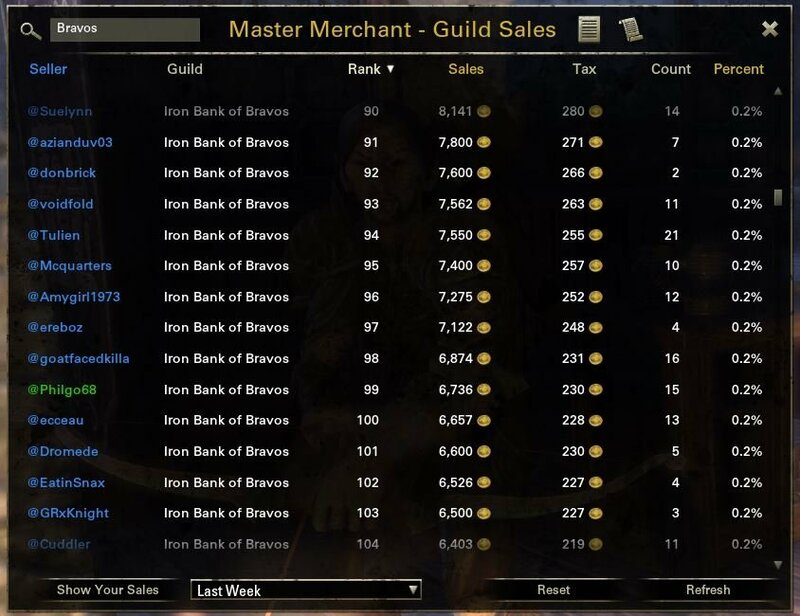 You plan on fixing the Sales/Purchases tab in guild roster? It's hella annoying and pretty worthless atm if you ask me. I can't see the sales, and purchases cover up the levels. They work fine in the standard guild roster on my machine. Can you give em a screenshot so I have some idea of why it's not working for you? I noticed 2 new "features" today. MM posts something in chat after log-in and reloadUI. 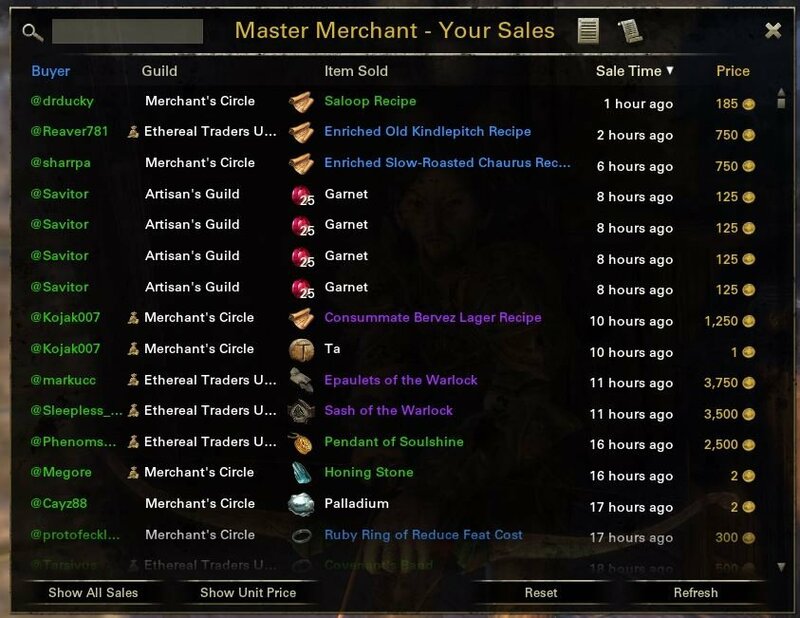 I have a problem with the Purchases,Sales info in Guild Rooster. 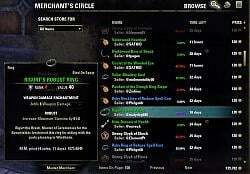 My resolution is 1366x768 and I use Thurisaz Guild Info. If I disable Thurisaz's add-on everything is fine but I like to use it. 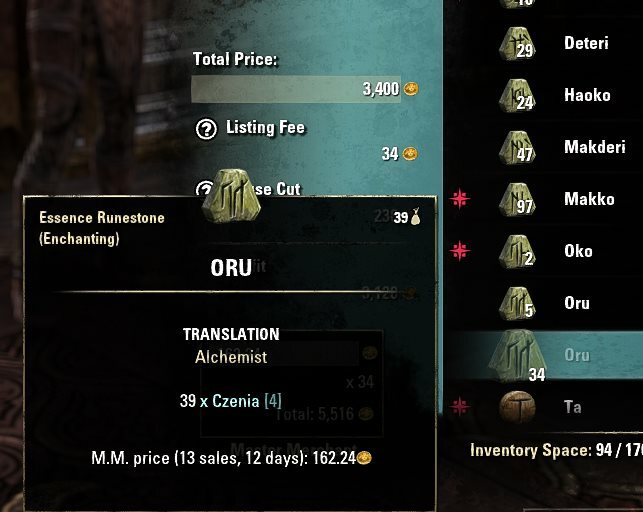 Can we get a button to toggle Purchase, Sales info on-off? 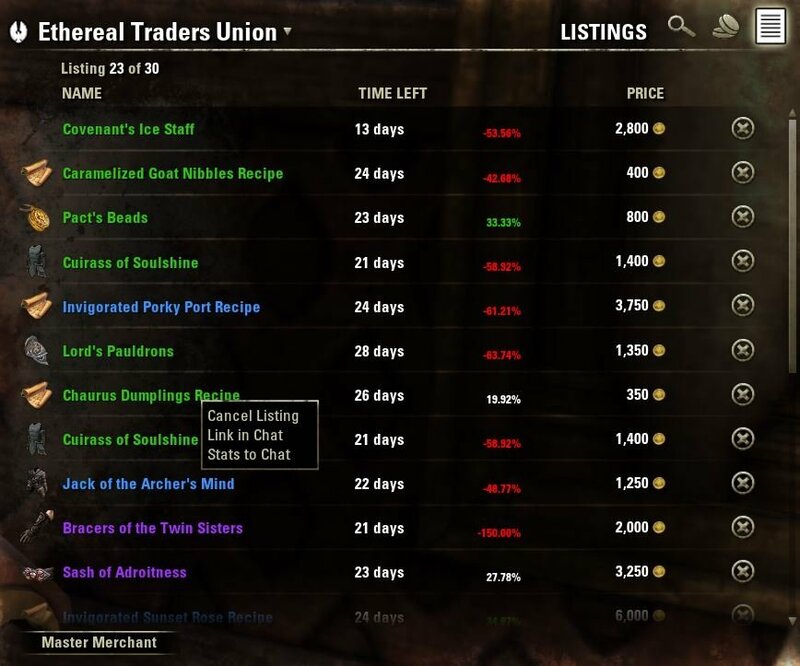 I didn't find a way to resize guild window. 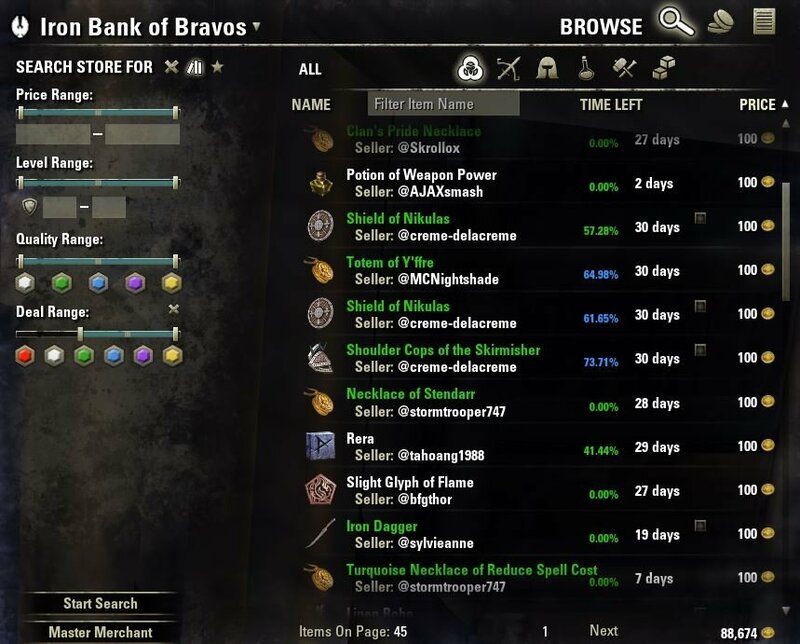 The alignment for the guild tab purchases/sales info does need to be moved a tad more to the left, for compatibility with Thurisaz' Guild Info. 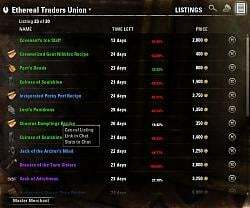 I would like to second the desire to have a toggle function for the guild tab info, also one for the initial purchases/sales info at login/reloadui please. Not that I don't mind either feature, just does not appeal to me, though it is useful to a degree. Thank you for this awesome Addon! Can you add the option to have the price in the tooltip only displayed when a certain button is pressed when you hover over it? 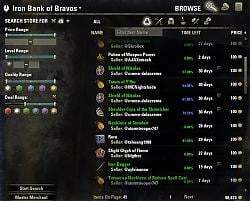 Like PriceTracker Addon does? 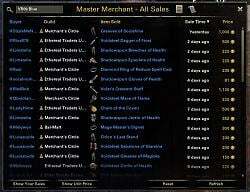 Philgo68, would you please consider adding a duplication check for sales? I don't know why this happens with new sales, but a simple check, if the sale is already stored, can prevent this. 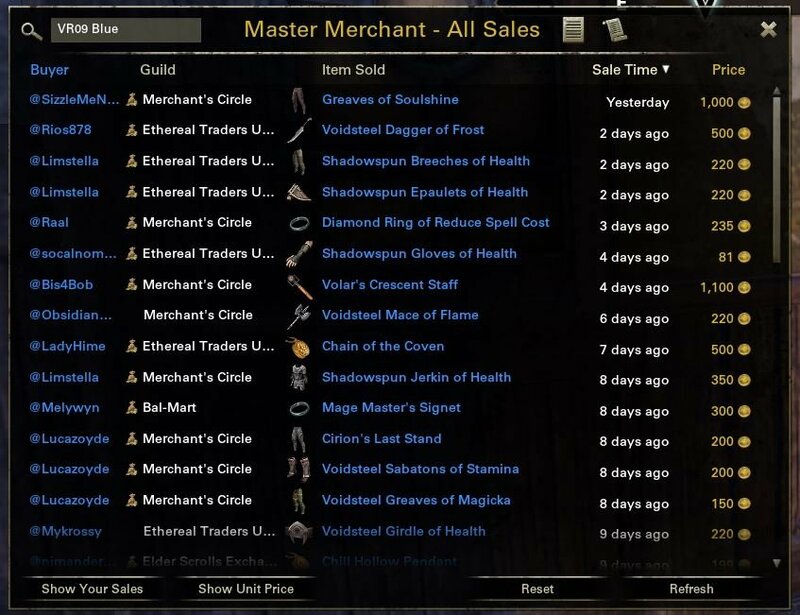 As a nice side effect one can completely reread all guild sales histories without having everything duplicated but with having sales added that were missed in previous scans for some reasons. Last edited by Arkadius : 04/02/15 at 02:38 AM. Yeah I am posting a bunch of recipes and provisioning mats and I am experiencing the same issue with a lot of those. 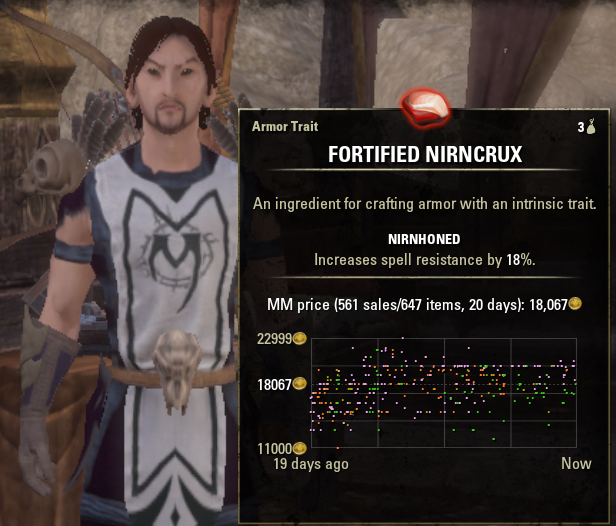 One recipe the Isinmate Infusion Recipe shows 356.31 in the tool tip but in the sell window it shows me 816. I have some recipes and provisioning mats that are far more drastic than that. Mournhold Twister Recipe shows 280.63 in the tool tip but in the sell window it shows 4119. Last edited by Amevil801 : 04/01/15 at 01:23 PM. - if there is no data for item, show data of the same item but lower quality. Last edited by QuadroTony : 03/31/15 at 08:12 AM. 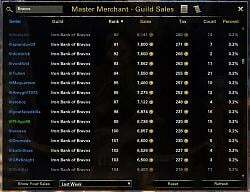 Lastly, as a guild leader, we used to use Millus Roster for sales based ranks of our members. I still miss the option to have the sales numbers show up next to the names in the roster along with the donations. 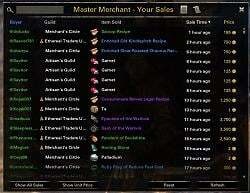 If that's not possible, then a feature that would make the promoting and demoting based on sales easier would be if MM could show ALL members including those with 0 sales and 0 purchases. Currently it shows a member as long as they've done a single transaction in the last 28 days, but the ones who are not on the list are often the ones I want to track down. Last edited by QuadroTony : 03/29/15 at 04:47 AM. Thank you for all your work on the add-on! I'm sorry it can be such a thankless job at times. And it's a shame when addon developers decide to cause conflict instead of supporting each other. I did find it a bit harder to get used to the hidden buttons. 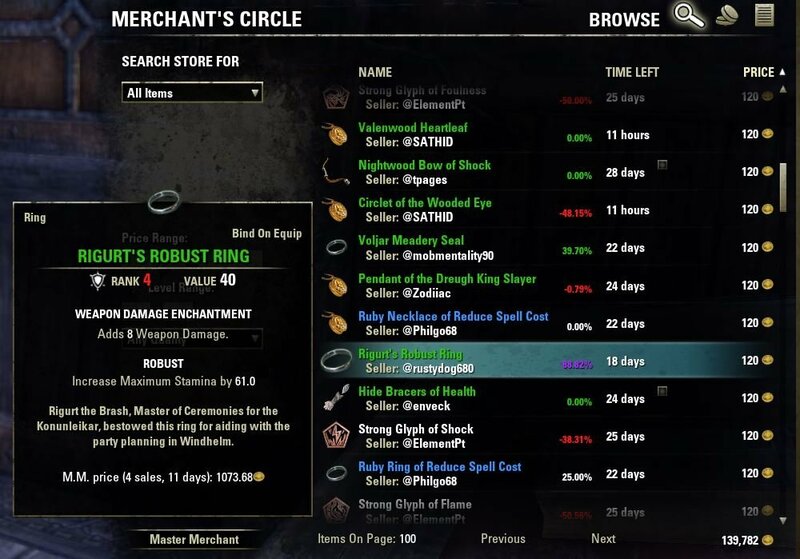 Instead of toggles, like "Show All Info" verses "Your Info", and "Buyer" "Seller" where the button shows the one that's not selected, I would find it more user friendly if it showed both options with the selected one highlighted. I do think I'm also getting some sales being duplicated. I'm not sure what info I can give to help troubleshoot this. Is there a way to say "search for just this keyword" ? eg I want to search for just "cheese" but I get back everything with cheese in the description. "Cheese White" will limit the search some more, but no there is no way to say "match whole description" or "match whole word" right now.